For any device with an exposed display – iPod, smart phone, digital camera, GPS and more, protect it with a miraculous product like nothing else I’ve ever seen. Audible.com – First there were audio books called books-on-tape available for purchase. Then there were retail rental outlets and they started to become available from your local library. Somewhere along the path came books on CD. About 12 years ago something truly revolutionary was started. Phanfare – Here is a unique, best-of-the-best photo and video sharing plus photo and video (from your little digital camera and from other video sources) back up service. Netflix and Blockbuster online – The two mainstays of online DVD rental. What’s the diff? Posted on February 14, 2012 by Steve Kruschen, "Mr. Gadget®"
For nearly three years I’ve had hands-on with phone service from Internet-based (VoIP) phone provider PhonePower (in the US 1-888-60-POWER – 1-888-607-6937). Now, with this daily experience, I am more convinced than ever of the excellence all around of their service. This is very good news! Posted on February 13, 2012 by Steve Kruschen, "Mr. Gadget®"
I bit the bullet and bought an iPhone 4S, the 64GB version just before the end of 2011. With that more than $500 investment and bearing in mind my new two-year commitment/contract with AT&T, I had to give serious thought to protecting that investment. I chose an $80 LifeProof case, better and different in my view. Newer Technology’s Power2U AC/USB Wall Outlet – So Smart, So Simple, You’ll Love This! USB charging is becoming ever more ubiquitous. Why not incorporate this capability in the space of a standard wall outlet, in addition to the two standard wall power outlets? Newer Technology did just that! Posted on February 12, 2012 by Steve Kruschen, "Mr. Gadget®"
Holdouts to the end, we finally cut the cord, from the phone company AND from traditional wired phones, about two years ago. Now, two years after deploying the selected Panasonic cordless set, we are still all smiles, still exceedingly pleased and pleased to recommend Panasonic cordless DECT 6.0 and DECT 6.0 Plus phones to you. 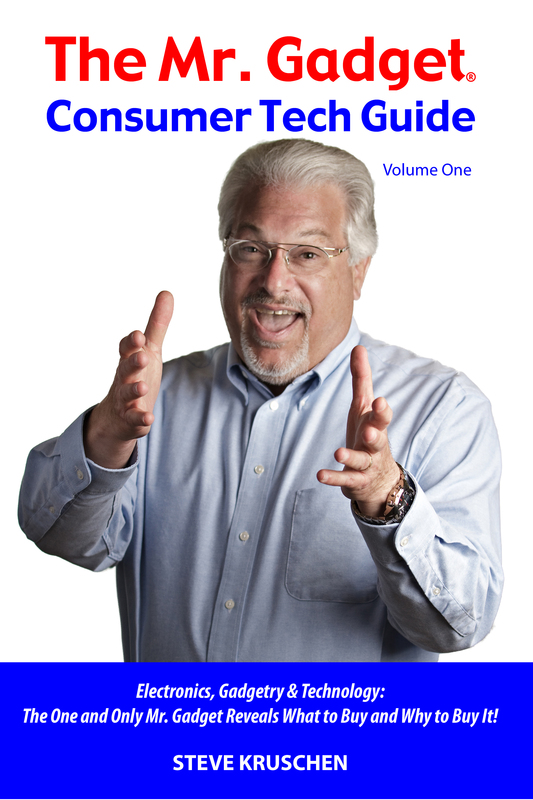 Posted on August 18, 2011 by Steve Kruschen, "Mr. Gadget®"
As students prepare to return to school, Mikey is a useful tool for many students who can benefit from recording class lectures. Nor perfect, but a bit better than using the built-in microphones on many iPod/iPhone models. Posted on August 15, 2011 by Steve Kruschen, "Mr. Gadget®"
Going back to school means, among other things, powering mobile and other wireless devices. The handy, under $25 Duracell Instant Charger, one of which I’ve had for some time, has never failed me. I can recommend it for students’ needs because it fits anywhere and can provide up to 35 hours of added mobile life when the internal battery is low.